When we eat as much as our heart desires. When we catch up with family and old friends. And when we make new year’s resolutions to better ourselves. Here at Wufoo, it’s also when we reflect on how we’ve grown over the past year, and decide on what we want to tackle in the year ahead. So without further ado, wu-fans, here’s a little recap of some of the things we delivered in 2018 and what you can look forward to in 2019! Ok, so we might be exaggerating. But over the course of the year, we’ve built integrations with payment-processing companies, like Square and Wordplay, that give you even more ways to get paid directly from your form! Plus, we’ve integrated with DocuSign so you can have any contract signed, sealed, and delivered straight from your form. On the flip side, we’ve tried to keep you from losing money. Remember Europe’s General Data Protection Regulation (GDPR) that came into effect in May? Violating it can lead to super high fines—we’re talking up to $20,000,000 here. No wu-fan goes down on our watch! We made sure that we were fully compliant with GDPR well before it came into effect. What’s that? You didn’t yell? Oh. This is awkward. Anyways…. Newfangled is a fresh, clean, and modern design that you can use on your form whenever you’d like; while our beta site is an optional experience that you can join (and leave) whenever you want. The beta site includes the New Form Manager, the New File Manager, and the New Entry Manager. Each of these beta features are geared towards improving different parts of your experience in Wufoo—from building your form to managing the responses. So what can wu-fans expect in 2019? First, a big thank you for being the most amazing customers. You provide us with invaluable feedback that helps with our product direction, ensuring that we deliver the features and functionality that matters most to you. 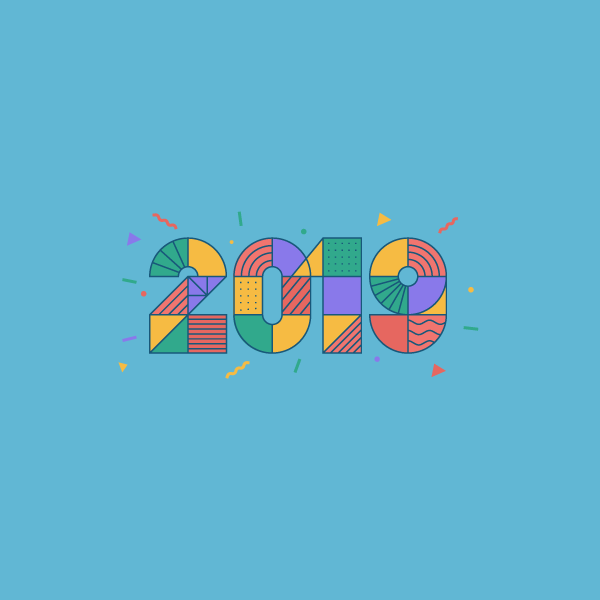 We’re beyond excited for 2019, and we’ve got lots of great things coming your way. To give you a little context, in order to build many of the requested items into the product, we needed to take a step back and evaluate how best to approach making these updates to Wufoo. Some of the restrictions that exist in the product today are due to how forms are currently defined and stored in our systems. In order to move forward in shipping great new features, we needed to overhaul a few things. The new beta experience was the first step in re-architecting Wufoo to enable us to deliver more features, faster and reliably. Now, 2019 will be the year that much of these behind-the-scenes improvements will make their way to your screens, and we can’t wait to show you all of the things we have planned for next year. So let’s sneak a peek at some of the things you can expect to see in 2019. 1) We’ll be launching one of the most requested features: Folders. This feature will allow you to store your forms into specific folders that you create. As you continue to build forms, putting them in relevant folders will help you stay organized and as well as help you access any given form more quickly and easily. 2) We’re delivering a new Form Builder. Simpler integrations, and more of them so you can automate your workflows more easily by integrating Wufoo with other 3rd-party platforms. Responsive forms that will look amazing on all devices, regardless of size. Streamlined form building that’ll make even the most complicated forms feel easy to build. It’s still in the early stages of being created, but it’s safe to say that designing themes for your forms will soon become much easier and provide a lot more customization options without writing any CSS. Unless of course you like writing CSS, in which case that option will still be there for you to enjoy. That’s just a little preview of some of the things we’re excited to deliver in 2019, and we can’t wait to show you! With that, we’ll let you enjoy the rest of your end-of-year celebrations. We look forward to making 2019 your best year with Wufoo yet!